Caption: Squid are cephalopods of the order Teuthida, which comprises around 300 species. Like all other cephalopods, squid have a distinct head, bilateral symmetry, a mantle, and arms. Squid, like cuttlefish, have eight arms arranged in pairs and two, usually longer, tentacles. 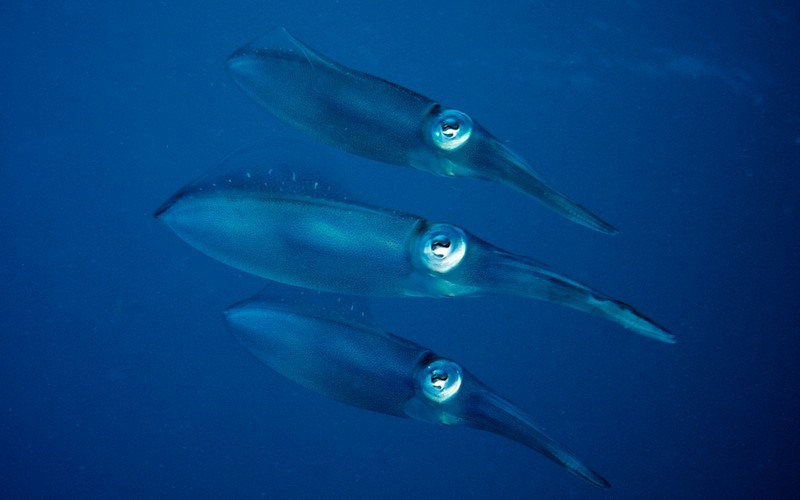 Squid are strong swimmers and certain species can 'fly' for short distances out of the water.